Our general and family dentistry services are designed to help you and your loved ones enjoy greater health and happiness. At our practice, we believe that the best treatment for a dental issue is to prevent the dental problem from happening in the first place. 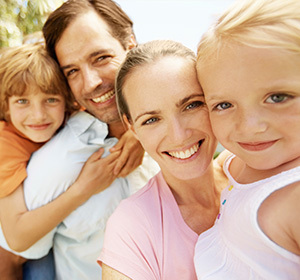 We put our focus on preventative care, and meaningful family-friendly services. You can find treatment for yourself and your loved ones in one convenient location. Professional Teeth Cleanings | Our professional teeth cleanings are a vital part of your dental maintenance regime. Professional teeth cleanings get rid of harmful plaque and tartar buildup, decrease your risk of developing dental problems and leave your mouth feeling fresh and healthy. We recommend patients come in for a professional cleaning every six months. 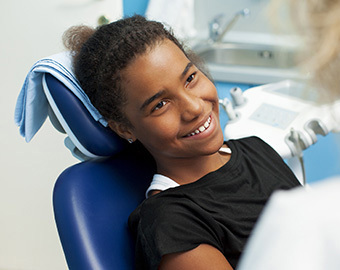 X-rays and Checkups | With regular x-rays and checkups, we can catch dental problems at their earliest stage, when they are the easiest to treat. During your general dentistry appointment, your dentist will personally check your teeth to ensure that you are experiencing optimal tooth health. Oral Cancer Screenings | With annual screenings, you can protect yourself and your family from the harmful effects of oral cancer. Oral cancer is a serious and life-threatening condition, but with regular screenings, we can catch oral cancer in its earliest stage, and decrease your risk. Periodontal Disease Treatment | Periodontal disease may be the leading cause of tooth loss, but with periodontal treatment from your Hamilton team, you can enjoy a healthy smile again. Our periodontal disease treatment removes harmful bacteria and helps promote gum health. TMJ Treatment | If you experience jaw pain or frequent chronic headaches, our TMJ treatment can help alleviate your TMD symptoms. You can contact us at our office for diagnostics and treatment.